After struggling with this problem in my mind for a while, I finally had the opportunity to experiment with Cloud Init and come up with a working solution for securely (I think) deploying code and credentials to a stock Ubuntu Instance on EC2. Human readable user-data that contains appName, environment, and role. Must be portable between providers. The example works with EC2, but initial ‘include’ file can be customized for each provider or OS. Files in this directory have to be owned by root, do not need to be executable (they are configuration files, just like /etc/crontab) and must conform to the same naming convention as used by run-parts(8): they must consist solely of upper- and lower-case letters, digits, underscores, and hyphens. This means that they cannot contain any dots. 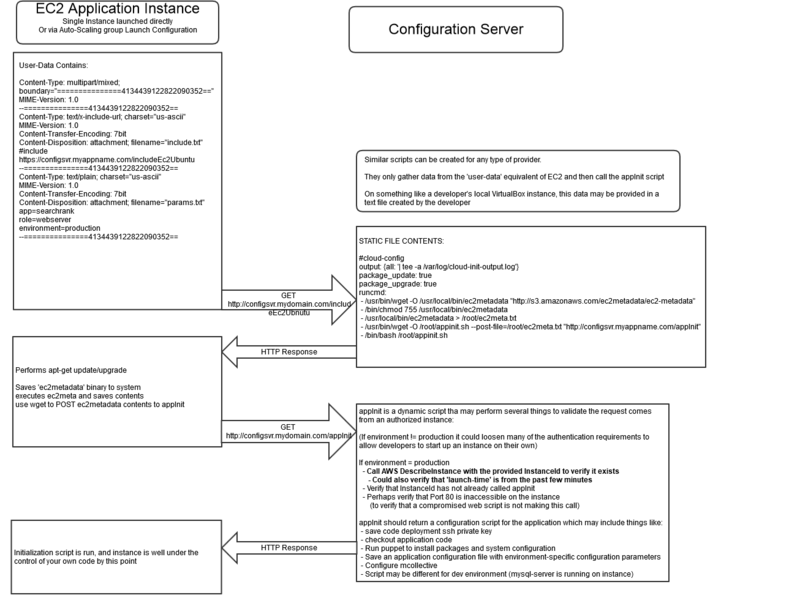 system when handling files in /etc/cron.d/ as configuration files (i.e. files ending in .dpkg-dist, .dpkg-orig, and .dpkg-new).